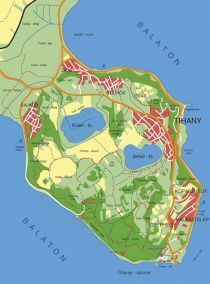 Tihany is among the oldest known settlements at the lake of Balaton , its Abbey was built almost 1000 years ago. 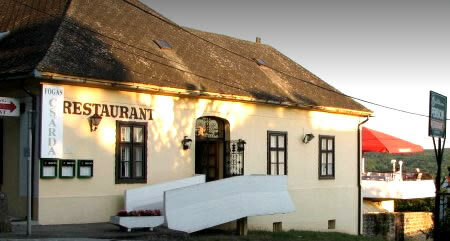 The village of fishermen and peasants has survived the centuries, and it is currently one of the most popular tourist destinations in Hungary . The village is situated on a small peninsula that penetrates the lake from the north. The peninsula was likely created by volcanic activities, and most of its territory belongs to protected environmental areas, national parks. On the peninsula there are two smaller lakes on the hills, not interconnected with the Lake of Balaton . These lakes are primarily reserved for the wildlife, although the larger one offers good opportunities also for the sport fishermen. One can find the old village on the top of the hill, not far apart from the historic church and monastery buildings.